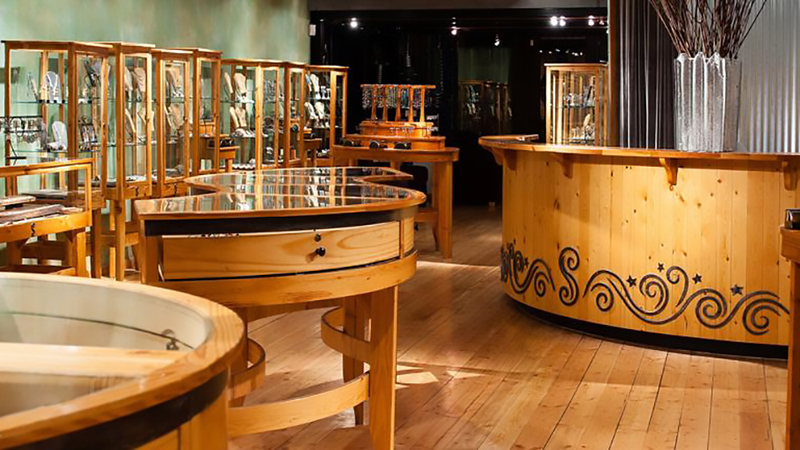 Silverado Jewelry Gallery in downtown Bend houses the work of over one hundred of the world’s most cutting-edge jewelry artists. Born out of a love of handmade craft since 1998, Silverado sees each piece as an individual work of art, crafted in a studio with its own techniques, raw materials, and perspectives on beauty. Each of the collections is beautifully displayed in well-lit wood and glass tables and rack display cases, in a contemporary setting that is easy to stroll through. From the traditional to the contemporary, Silverado Gallery has something for everyone and a staff that understands the product. Follow them on Facebook as they acquire new jewelry lines, and join their newsletter for updates on sales, trunk shows, discounts, giveaways and more. Open Monday – Saturday 10:00 a.m. – 6:00 p.m. and Sundays from 11:00 a.m. – 5:00 p.m.